Screen Shot of ID Matching Buddha stolen 57 years ago. I was at TEFAF to keep an eye open for looted antiquities which might be on sale with fabricated provenances — artworks from the ancient past which have no legitimate pedigree as they have been looted directly from the ground. Illicit antiquities like these have a propensity for eventually bubbling up into auction house and trade fair sales as their illicit excavation from archaeologically rich sites means that they will not appear in any for-fee stolen art database searches as there is no way to report a previously unknown object as missing. Once a looted object gains a plausible fabricated provenance, it only takes a few purchases and a publication in one or two glossy exhibition catalogs, to give a looted object a superficial patina of legitimacy. I was not expecting to find an object stolen from a museum as these types of thefts are routinely registered with police, as well as with art market theft databases. 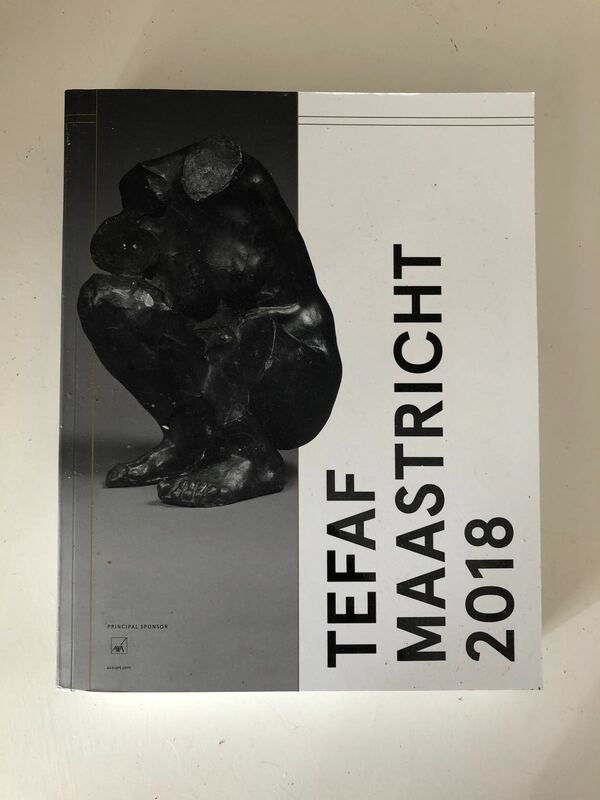 Searching services, conducted by Art Loss Register, are also incorporated into the vetting of objects for sale at TEFAF in both their New York and Maastricht sales events and are designed to reduce or resolve art-related ownership disputes. But on Thursday, 15 March 2018 around lunchtime, I pressed the send button on my smartphone application and passed a high resolution photo of a suspicious object I had seen at the stand of one of the international art dealers. The photo sent was of a Post-Gupta, seated Buddha in the Bhumisparsha Mudra pose, a delicate bronze with his right hand as a pendant over the right knee and with the palm of his left hand facing upward. The person I sent the photo to was Vijay Kumar, the cofounder of India Pride Project. IPP has been responsible for identifying countless Indian treasures stolen and smuggled overseas, some of which have been found in prestigious museums around the globe. Less than 2 hours later, and with careful comparison with images obtained through a retired ASI employee, Dr. Sachindra S Biswas, Kumar and I were fairly confident we had a match. The following morning, Friday, 16 March 2018 and after multiple cross checks, between the photos of the object I took and those of the ASI, I contacted Martin Finkelnberg, Head of the Art and Antiques Crime Unit of the Netherlands National Police Force, INTERPOL, UNESCO and the Indian authorities and presented everyone with the supporting evidence of our identification. In our opinion, as well as the opinion of two external experts, we felt confident, to the best of our abilities, that the object for sale at TEFAF in March 2018 was an exact match to one of 14 objects stolen from the Nalanda Archaeological Museum of the Archaeological Survey of India (ASI) in Nalanda, Bihar, India on August 22, 1961. 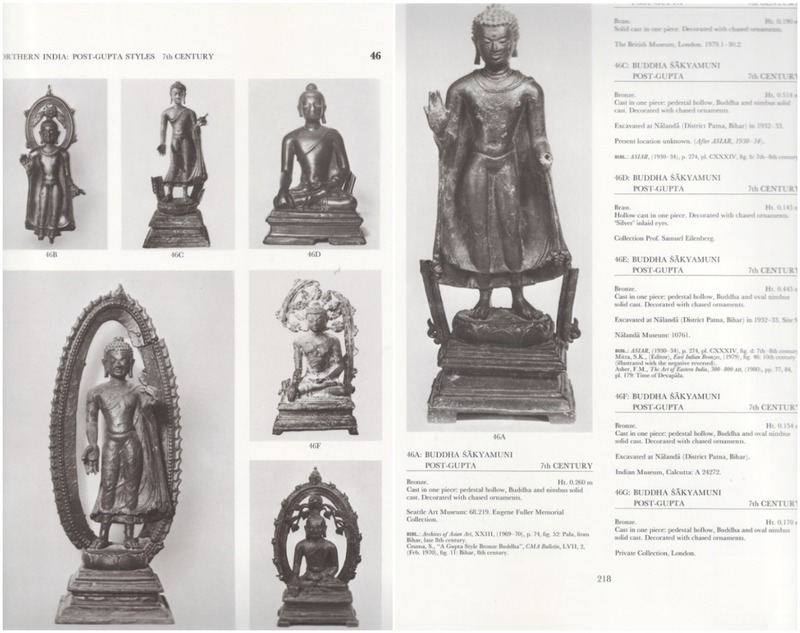 Despite its theft, the stolen Buddha was pictured in Ulrich Von Schroeder's book "Into-Tibetan Bronzes," a book published in Hong Kong in 1981. By that time the object had already been satisfactorily laundered into the licit market and was listed as part of a private collection in London. Pages from Ulrich Von Schroeder's book "Into-Tibetan Bronzes,"
Based on the preponderance of evidence we presented, the Dutch police force acted immediately and sent officers to pay a visit to the dealer's representative on site at TEFAF for the last day of the Dutch fair. The manager of the stand reported to the Dutch police that the firm was holding the object for a consignor who resided outside of the Netherlands. Working cooperatively with law enforcement, the dealer agreed to be in touch with the Buddha's current owner as well as New Scotland Yard, London's Metropolitan Police upon their return to London where an investigation could be taken up by the UK authorities. ARCA and India Pride Project, in turn, passed all the evidence we had obtained on to Detective Constable Sophie Hayes, of New Scotland Yard's Art and Antiques Unit. Once in London, Constable Hayes began her own necessary due diligence in order to ensure that our impressions were correct. After reviewing the documentation we had provided to the London police, Hayes contacted France Desmarais of the International Council of Museums (ICOM). Desmarais arranged for a neutral external expert opinion on the Buddha currently held in the UK by the antiquities dealer for the consignor. This evaluation was conducted for evidence of authenticity as well as in comparison to the evidence provided by ARCA and India Pride Project related to the theft in Nalanda, Bihar 57 years ago. 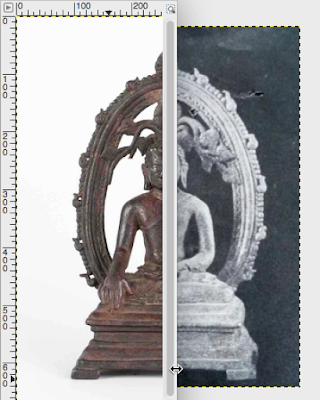 ICOM's expert found the bronze in question to be authentic, and a match to one of the 14 objects stolen in 1961. 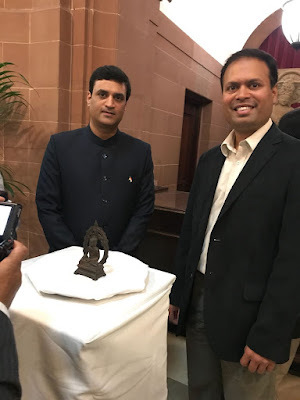 To understand how experts authenticate ancient art of this type it is important to understand that bronzes produced in the later medieval period (circa 12th century) in eastern India were made using the “lost wax” method. This is a process where a wax model is made which can be used only once, as the wax melts away when the molten bronze is poured into the mould. For this reason, each bronze Buddha made using the lost wax method is unique, and while other Buddhas may have a similar appearances or poses, no two will be exactly alike as each object has to be made from its own individual wax mold. Completing this confirmation check took some time, as the number of post-Gupta era experts is limited and authentication is not something experts working in the museum community perform without careful consideration and thoughtful examination. I'd like to personally thank both the anonymized expert and Ms. Desmarais for their time and expert assistance regarding the origins of this bronze. With ICOM's confirmation in hand, the Met's Art and Antiquities Squad worked to convince the current owner of the Buddha, who, along with the dealer had been cooperative throughout the investigation, to voluntarily relinquish the object back to its home country. Today, it was handed over to Indian High Commissioner to the UK, YK Sinha during a ceremony this morning at the Gandhi Hall, India House, Aldwych in London, timed to coincide with India’s Independence Day. Speaking with Vijay this morning hee stated "this is a great demonstration of inter governmental and activist groups and also the need for proper documentation. We hope this is just the beginning in finding closure to this case as we are still after the rest of the stolen artifacts. Hope the museums in America are looking at this with interest. " While I, like Vijay am overjoyed that this stolen Buddha is finally going home, another similar to it, identified in February and stolen during the same theft, still sits at the Los Angeles County Museum of Art (LACMA) in Los Angeles, California. The question remains, if the US-based museum will be as forthcoming as this collector and UK dealer. Both of whom did the right thing by cooperating during the investigation and eventually returning the stolen object back to India voluntarily.